An innovative new project, which sees vulnerable individuals rewarded for volunteering in their local communities, is being launched in Cornwall. The Time Credits programme is commissioned by the Council and Community Safety Partnership and run by time-banking charity Tempo. It was first developed in South Wales. Success of the currency has led to rollout in areas across the UK. The Cornwall Time Credits programme is aimed at people with complex needs, including those with experience of homelessness; drugs and alcohol problems, domestic abuse and sexual violence. They are encouraged to get involved within their local communities by identifying their interests and talents, and using them to play an active role within the services they access. The scheme has seen participants develop new hobbies, skills and confidence, and engage in their communities in a more meaningful way. Through this, they can earn Time Credits for hours contributed, which can then be ‘spent’ on community, cultural and leisure activities in the local area such as the Seal Sanctuary, Minack theatre, Tate St Ives and from October 30 at 14 Leisure Centres across the county. In addition, Cornwall residents can spend their credits across Tempo’s national network of partners including attractions such as the Blackpool Tower and St Paul’s Cathedral, if they go out of the area. 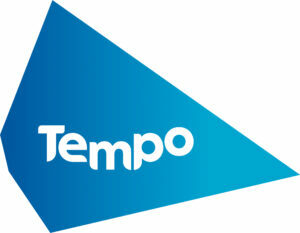 Tempo, the charity behind Time Credits, is working alongside Cornwall Council’s Community Safety Service, based with the Drug and Alcohol Action Team and local organisations and services to deliver the new programme. It was launched in the Safer Penzance area at the beginning of year, and is now being run by both Safer St Austell and Safer Truro as well. Over the next two years the project will be Cornwall wide. The official launch of Cornwall Time Credits in Penzance today brings together agencies and individuals involved with Time Credits to celebrate and publicise the arrival of this innovative project, the first in the South West. Cornwall-based organisations in the commercial, leisure and cultural sectors interested in joining the programme can elect to become part of Tempo’s nationwide network of corporate partners. 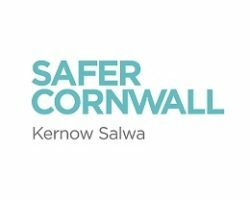 Kim Hager, Joint Commissioning Manager at Cornwall & Isles of Scilly Drug and Alcohol team, said: “This is such an exciting project and we are delighted to be working in partnership with Tempo Time Credits to deliver it throughout Cornwall. “The scheme supports the Council’s ambitions for safer and healthier communities by prioritising our most vulnerable residents. If we can get it right with the most vulnerable, we can get it right for everyone. Councillor Sue James, portfolio holder for environment and public protection at Cornwall Council, said: “It is fantastic to see such an innovative project launched, and offers a real opportunity to help some of our most vulnerable residents, while giving back to the community. Rachel Battleday leads the Time Credits programme at Cosgarne Hall. She said: “Supporting the residents to engage in voluntary work and being able to acknowledge and reward them is a massive boost to their confidence, self-esteem & well-being.